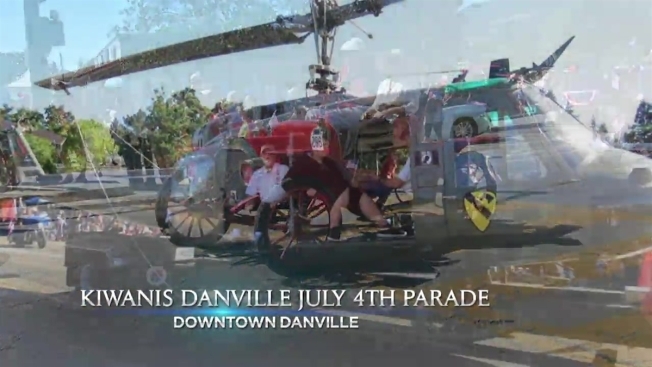 Come and kick off your July 4th weekend with a parade that has drawn over 40,000 to 50,000 attendees each year including local community residents, friends and family from areas far beyond Danville. The 2016 Kiwanis Danville July 4th Parade is scheduled to start at 9:00am at the corner of Hartz Avenue and Railroad Avenue, continues down Hartz and San Ramon Valley Boulevard, then ends at the corner of Sycamore Valley Road. Come and enjoy a festive celebration filled with bands playing live music, flourishing floats, and the parade route is lined with banners with flag wavers marching with excitement! In 1975, members of the Kiwanis Club of San Ramon Valley have organized and conducted the parade. Each year since they have kept the tradition alive and continue to raise funds through parade sponsorships, entry fees, and community service projects to be donated to local community service organizations within the San Ramon Valley.